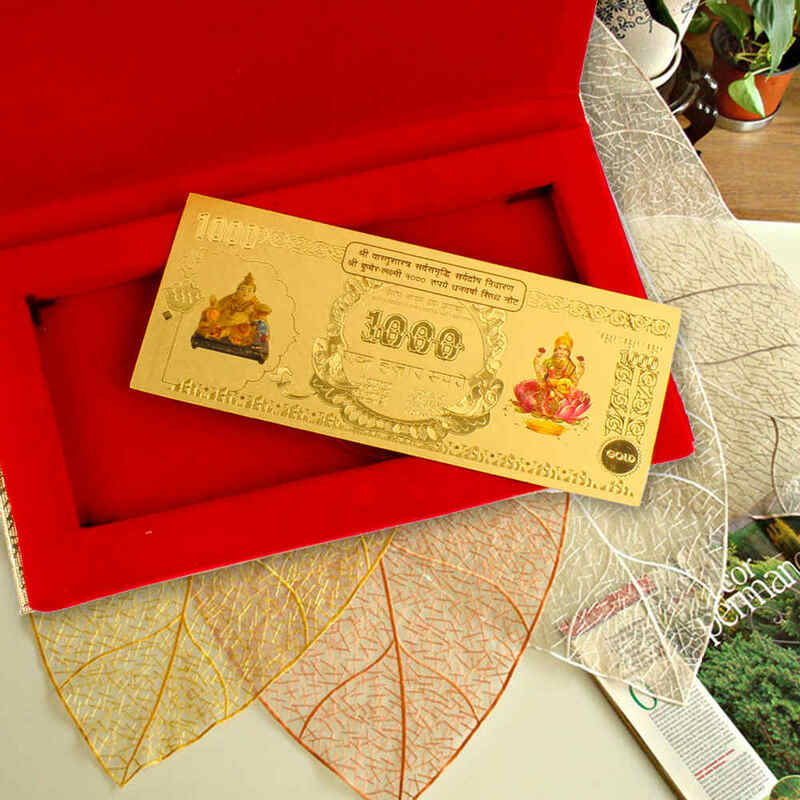 Product Consists : Shree Kuber Lakshmi Gold Plated 1000 Rupee Note in Gift Box. 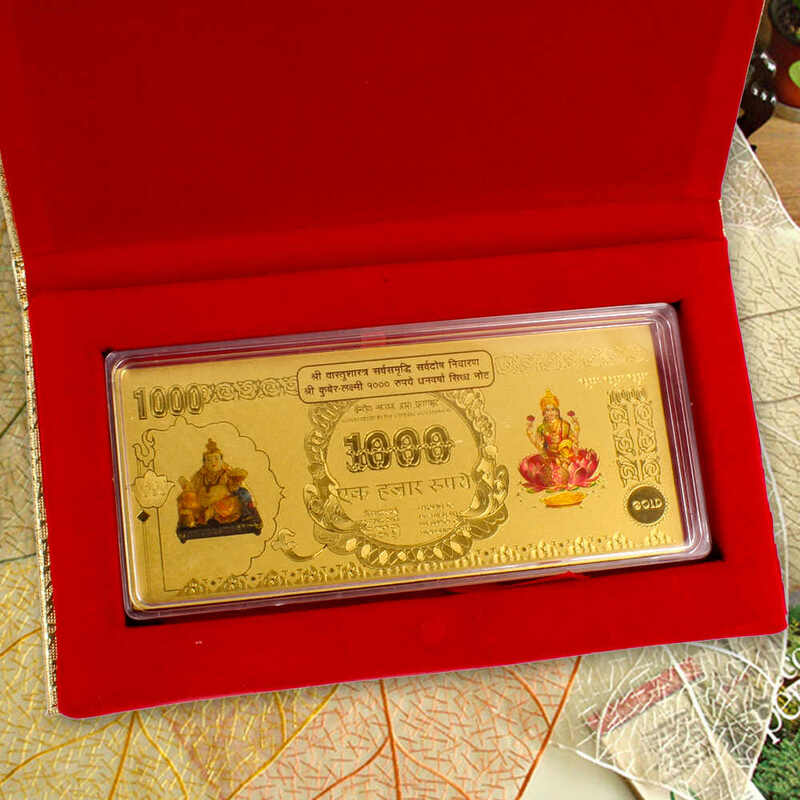 Get the blessings of Lord Kuber with Devi Lakshmi by gifting this gold plated note. Beautifully carved currency note from Marvel Creations with the images of Goddess Laxmi and Lord Kubera. Kubera Is Regarded As The God Of Wealth And The Treasurer. Lord Kubera Is Also Known As The God Of Yakshas (savage Beings). Kubera Is Always Remembered With The Goddess Of Fortune, Lakshmi. 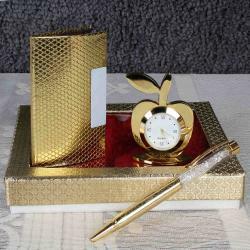 It is crafted with alloy and is gold plated to give it a rich and classy look. 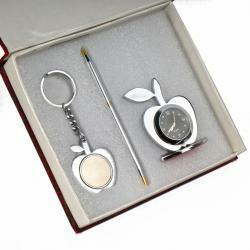 A perfect gift item for all occasions and also acts as a souvenir. 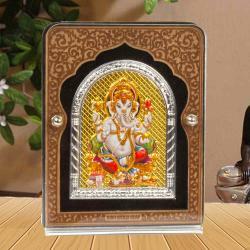 Product Includes : Shree Kuber Lakshmi Gold Plated 1000 Rupee Note in Gift Box.